All&apos;s well that ends well. 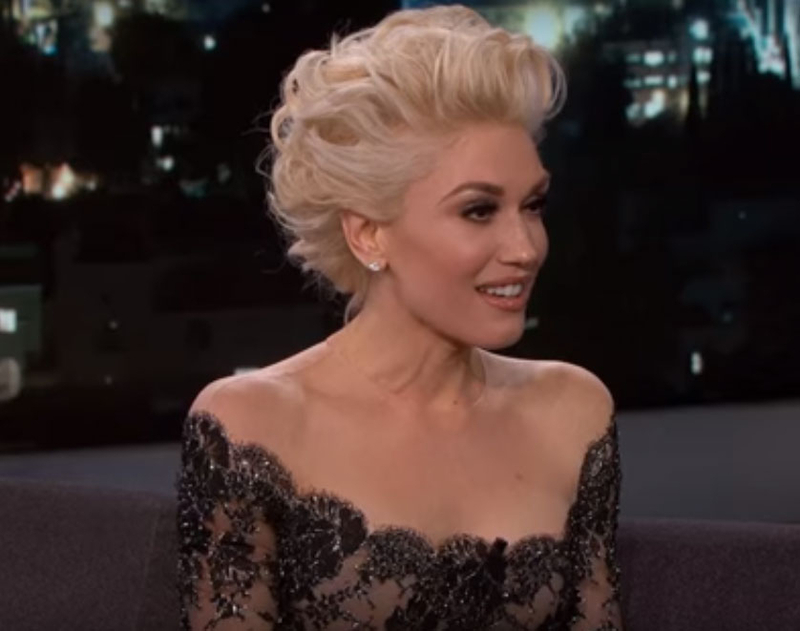 Gwen Stefani spoke candidly to Jimmy Kimmel on Tuesday, February 16, admitting that Blake Shelton is the subject of her new song, "Make Me Like You," and talking about her former love life "tragedy." The loved-up singer, 46, was a guest on Jimmy Kimmel Live!, performing her new song and talking about the excitement of recording her video live at the Grammys the night before. And before she opened up about the state of her love life, the former No Doubt frontwoman wanted to make it clear that it wasn&apos;t actually her who fell over on the Grammys stage the night before — it was her stunt double! "I actually sorta know how to [skate] from when I was a kid," Stefani said of her roller skills. "But there was a crash. Everybody thinks it was me, but that was a stunt double," she went on. "We did that on purpose so everybody would think, &apos;Oh, my God, this is live and she fell!&apos;"
Kimmel then went on to ask Stefani to admit the obvious — her new song is about Shelton, right? "It is actually," she said, grinning widely. "I will admit that that song is about that guy." "What&apos;s so crazy is that sometimes tragedy, if you really absorb it, you can turn it into something beautiful. And this whole album is about trying to take something that&apos;s awful and healing from it," she said. After her interview with Kimmel, Stefani played a game of Blast From the Past — watch the hilarious video in the clip!